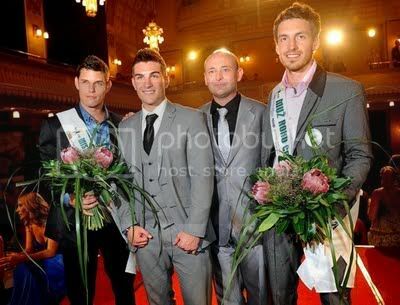 Muz Roku 2011 pageant was recently held in Prague. It was attended by the current Mister International 2010, Ryan Terry. Muz Roku CR (Czech Republic) title was given to Martin Gardavsky. He will enter the Manhunt International contest. The Muz Roku SR (Slovak Republic) was won by Jakub Lorencovic, he will compete in the next edition of Mister International. Theodor Jares, a crowd's favorite will compete in Manhunt International.